The Department of Personnel & Training (DoPT) has recently issued Promotion orders of about 4,000 officials of various level. The total number of promotions in Central Secretariat Service (CSS) has been 1,756 and in Central Secretariat Stenographers’ Service (CSSS) it has been 2,235. 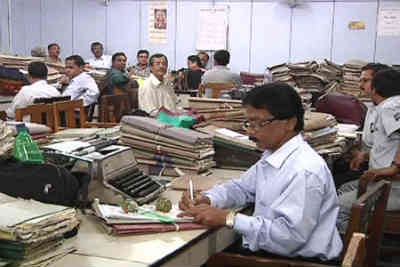 These promotions include higher level positions like Director (122), Deputy Secretary (340) and Under Secretary (300) in Central Secretariat Service (CSS) and Senior Principal Private Secretary (Sr PPS) (approx 300), PPS (680) in Central Secretariat Stenographer Service (CSSS) and Section Officers (SO) and Private Secretary (PS) & PA at lower level in these two key service of Central Government. Promotions for staff of Central Secretariat was held up for sometime due to litigation regarding service matter. In addition to resolving the legal issues Government has restructured both CSS and CSSS cadres to remove stagnation in these cadres. Government appointed 3rd Cadre Restructuring Committee and accepted the report submitted by the committee. This has resulted in availability of additional vacancies at higher level to accommodate career aspirations of Government Staff.